“Sponge’ is the theme again of this weeks round up. Sponge, as a concept, is a key concern for the city of Rotterdam. The term is more widely used in China, where the ‘Sponge’ city concepts is explored in an interesting post. Then we take the focus to green roofs – why aren’t there more? Perhaps this is because of a plea registered last week by a well known Germany green roof expert working in the USA: Why is there a a constant clamour for more research when so many metres have already been installed? Lets get the sponges in and stop pondering whether we need academic permission. Usability was a key factor for most responders to the study. And the review is worth a peruse and the results are surely relevant in other cities in the world. recognises the importance of both green infrastructure and the river-basin-wide approach. The idea is that a whole city absorbs, harvests, stores, filters, purifies and slowly releases rainwater into rivers and the ground. Just like a sponge. Again, this is a concept and approach that is being developed across the globe though it maybe be referred by other terms. How can a city get existing green roofs greened?. It is all very well, in cities that have policies and incentives, to have green roofs on new developments. But what about the existing ones? An interesting idea comes from Greece in this post in the Nature of Cities. Is it the consumer rather than the authorities that could make the difference? 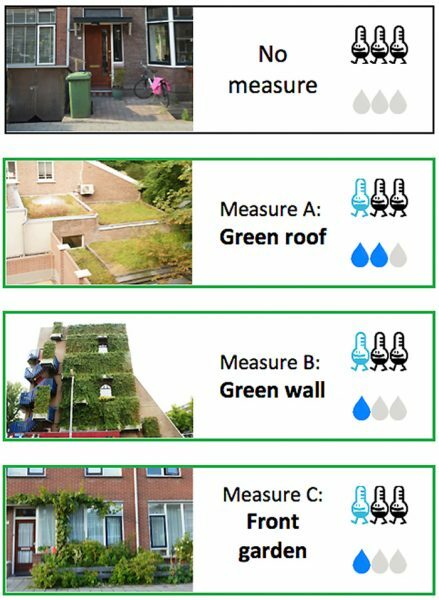 The article suggests that if each citizen in a housing block were to fund/install one square metre of green roof, whole scale greening might just happen..The average roof space in Athens is 150m2 with 40 residents living in the the residency. This method would created 40m2. The total number of residents of Athens is five million. So that would be five million square metres of green space. In other words it would create a green area bigger than Central Park in New York. 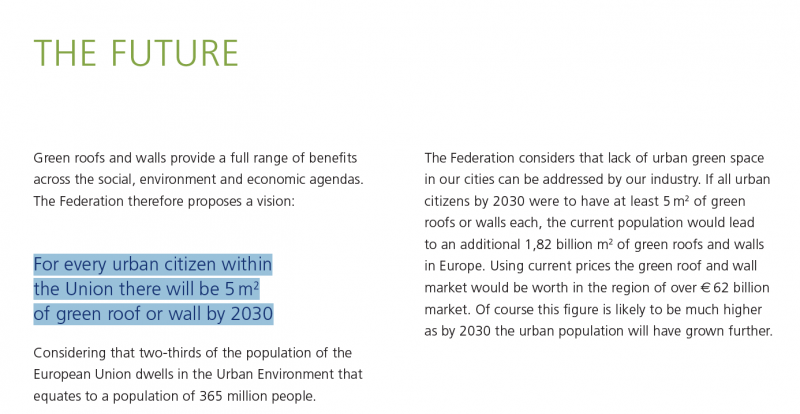 This is a bold idea and is in keeping with he European Federation’s aspiration for every urban citizen in the EU to have 5 square metres of green roof by 2030. This could potentially be a mechanism to pay for it. And as with most mechanisms, the more green roofs installed the lower the cost. Therefore as the cost decreases, citizens fund more green roofs. We understand there is, sometimes, a need for some refinement but, as Jorg says, lets get installing not pondering the metrics.